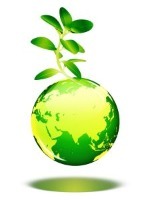 After a long period of thought, have you finally decided to go green and save the environment? But when you look at the options, you suddenly find that ways to environment friendliness are expensive. Are there ways to go green and save money at the same time? 1. Usable water is one of the most precious things on this planet. Judicious use of water goes a long way to protecting the environment and also serves to bring down your water bill. Simple steps like fixing pipe and faucet leaks, remembering to close taps tightly every time and not allowing the tap water to run continuously while brushing or lathering, etc… useful ways to save water. 2. Avoid using disposable razors and switch to safety razors. Apart from costing more, the plastic packing around disposable razors is a major threat to the environment. Also, disposable razors with all their extra packing take up more storage space in the house. Safety razors that require only replaceable blades are a more economical option. Multi-packs of razor blades come cheaply and with much less plastic wrapped around them. 3. As far as possible try to use energy efficient devices. For example switching from ordinary light bulbs to compact fluorescent light bulbs or CFLBs can save an enormous amount of power and can serve to bring down your electricity bill quite drastically. 4. Another simple way to save the environment and save money is to cook food at home. People who eat at fast food joints not only damage the environment but also add to their monthly food bills. Buying groceries and vegetables from the store and then cooking your favorite dinner back home is the best option. 5. House insulation is an important contributor to unwarranted power consumption. In improperly insulted homes, both heating and cooling will take up more power compared to well-insulated homes. Having a correctly insulated home saves power and money. 6. As far as possible buy and use second-hand items. Furniture, toys, clothing and kitchenware are good examples of items that can be bought second-hand. This prolongs the journey of these items into the garbage bin. This option is both environment friendly as well as a great money saver. 7. Prudent use of your printer can go a long way to saving paper, ink and money. Before you choose to press the print button on your computer, please stop for a moment and think twice about the necessity of a hard-copy. And if you do decide to print out a document, try to use economy-mode. This saves paper, ink and makes sure that the cartridge doesn’t need refilling very often. 8. Switch to a good mineral salt deodorant stick instead of the regular sprays. Mineral salt deodorant sticks last longer, are not harmful and are less expensive than their spray counter parts. 9. Try to recycle items that are amenable to the process. This avoids garbage pile up and the need to buy new things very often. 10. Try to use a glass water bottle that be used again and again instead of using several disposable plastic water cups over the course of the day.